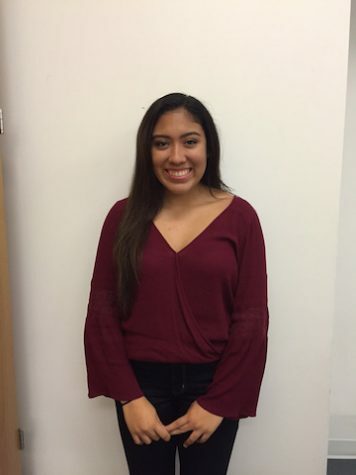 Victoria Cruz is an active member of the varsity cheerleading squad, Key Club, Girls Helping Girls, Spanish Honor Society and National Honor Society. On her free time, she volunteers to coach a second grade Wildcat Mighty Mites cheerleading squad. She enjoys shopping with her friends and going to see some of her favorite artists in concert like Justin Bieber and Shawn Mendes. Aside from keeping up with her schoolwork at home, she also likes to binge watch Gossip Girl and One Tree Hill on Netflix. In the future, she hopes to pursue a career in the medical field.